HURON, S.D. 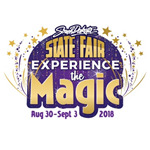 - The South Dakota State Fair is offering new ways to “experience the magic” at this year’s fair. For those who like to make food and flowers, the fair is hosting many new contests. On Friday, Aug. 31, and Saturday, Sept. 1, in the Horticulture Building, there will be a new open class floriculture design contest, showcasing artistic and petite designs. On Sunday, Sept. 2, in the Women’s Building, there will be a new cake decorating contest to honor the 100th anniversary of the grandstand, as well as a homemade pie baking contest. On Monday, Sept. 3, there will be a homemade beer competition added onto the homemade wine competition in the Women’s Building. The fair is adding more thrills to the carnival area this year as well. On top of new rides, including the Puppy Roll, there is also the Stardust Circus, featuring an aerial act suspended by the person’s hair, a hula hoop performance with up to 40 hula hoops and a motorcycle stunt sphere. Also new this year is the #beefstrong contest. Travel around the fair to find #beefstrong signage, post a photo with the signage to your social media account of choice using the hashtag #beefstrong for a chance to win prizes from the South Dakota CattleWomen’s Association. 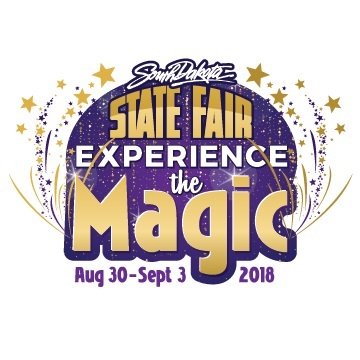 South Dakota Game, Fish and Parks will be at the fair again this year, but they are adding a new twist with a scavenger hunt around the fairgrounds, daily activities for kids and adults, and a seminar on the proposed changes to the deer license drawing. Don’t forget to also check out the new food at the fair, including German Food, Wonderstick, smoked chicken legs and Kasmeister Creamery.